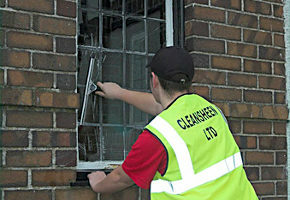 Cleansheen's residential window cleaning service brightens up your home and improves your view of outdoors. Did you know that it can also save you money? 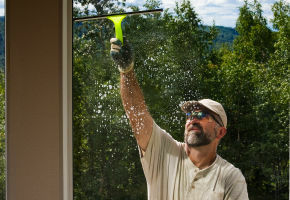 If windows are left unwashed for too long, particles of dirt can penetrate the glass, which is expensive to fix. From large patio doors to sash windows and fiddly leaded casements, we cater for every kind of residential window cleaning all over Bristol and the surrounding area. We can also give your conservatory a new lease of life or bring back the colour to your cladding and fascias. They use up to date methods,and equipment,ensuring their employees safety, as far as is reasonably practicable,and above all their freindly, and curteous manner gives you a peace of mind whilst on your premise. You’re the best window cleaner we have ever had, first class service. 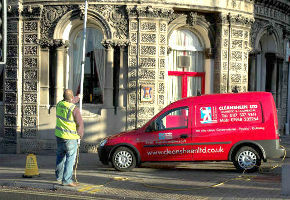 Our window cleaners are professionally trained and fully insured. 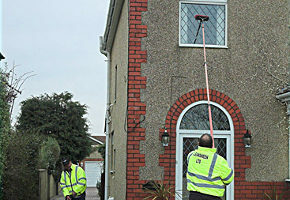 Their qualifications are accredited by the British Window Cleaning Academy. They are polite, considerate and thoroughly reliable. They turn up when they say they will and work quickly, quietly and efficiently. If you are in, you will hardly notice they are there. 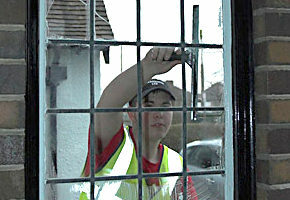 If you are out, you can trust them to clean every pane until it gleams. You don't need to worry about ladders scratching your paintwork or spoiling your flowerbeds. Instead we use lightweight telescopic poles to access upper floors and hard-to reach windows from the safety of the ground. The system uses purified water – nothing more – eliminating the need for environmentally harmful chemicals. If you prefer more traditional methods, we will get out our dusters to give your downstairs window frames an extra polish. Our safety record is as spotless as our cleaning. All staff have professional Health and Safety accreditation. 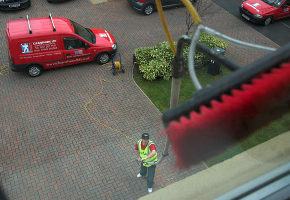 We charge a reasonable price for a superior window cleaning service. You can set up a standing order, pay online or pop a cheque in the post using a stamped addressed envelope which we provide.